We have discussed earlier about lime stabilization for black cotton soil. Lime stabilization is the oldest treatment method for expansive soil, whatever the expansive soil, black cotton soil, regur or vertisol. Now we have to know about efficiency of this treatment. 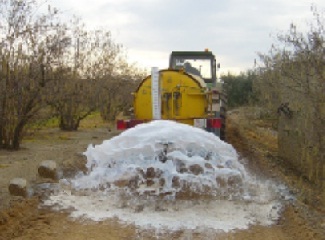 Whenever the efficiency of lime treatment is concerned, It can be concluded that expansive soil having high sulfate content do not respond good. This condition may occur many region of the world. In building construction process it can sometimes relocate the structure considering geotechnical and geological conditions. But in case of highway construction, in most cases there have no alternative to realign the course of highway. As realign of highway course can deprive a locality form transport facility where overlain expansive soils are exist through whole area. So highway department of India, United States or many countries of the world are very much worried about that and credits of major developments in this stabilization process mostly go to highway engineering researchers. b. Very interesting, Enzyme treatment-this treatment process utilize organic catalyst of various forms. As everyday many highway and building foundations are affected by black cotton soil, foundation engineers need new effective and efficient stabilizing products. Bur the products stated above are still require more research and foundation engineers should use this products verifying the experimental performance of this products.